'The Intimate Diebenkorn' shows at the Sonoma Valley Museum of Art, 551 Broadway, Sonoma. Open Wednesday–Sunday, 11am–5pm. $10–$15. 707.939.7862. ABSTRACT THOUGHT Richard Diebenkorn is one of California's best known modern artists. Artist Richard Diebenkorn's large-scale paintings made him an influential figure in multiple art movements of the 20th century and a worldwide sensation in his lifetime. Best known for his dramatic Ocean Park series, his expressive abstract and figurative masterpieces fetch millions at auctions. 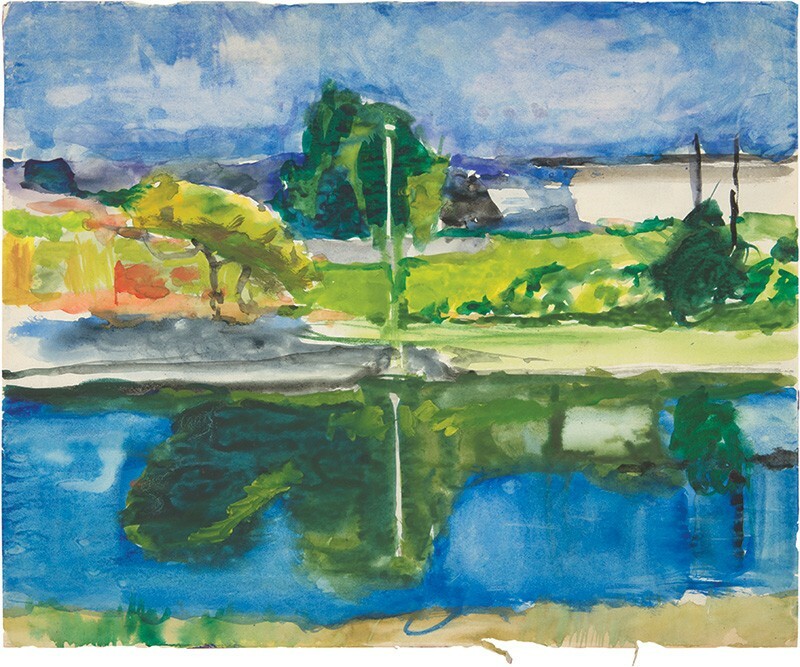 The Sonoma Valley Museum of Art is hosting a career-spanning retrospective exhibit, "The Intimate Diebenkorn," that presents a revealing look at many of the artist's previously unseen sketches and drawings. The exhibit runs through Aug. 23. "I think he's the most well-known modern California artist," says SVMA executive director Kate Eilertsen. "Everybody's seen the paintings, but nobody has really understood how the paintings came to be." In that spirit, the museum gives a rare glimpse into the mind of the artist. Working with the Diebenkorn Foundation, the museum presents a number of Diebenkorn's works on paper, including figurative, abstract and still life pieces. The selections in this exhibit highlight his working process and his evolution as an artist. "He loved to draw; he loved charcoal, gauche, watercolors," says Eilertsen. "You can tell he tries to get the most out of whatever medium he's in." Born in 1922, Diebenkorn was raised in the Bay Area and at a young age developed his style of abstract expressionism before participating in the Bay Area figurative movement of the mid-20th century. He lived in Santa Monica when he began his vivid Ocean Park paintings in the late 1960s. "I think he captured the West Coast light and colors in a way that allowed people to see it from a different perspective," says Eilertsen. Returning to the Bay Area and working prolifically until his death in 1993, Diebenkorn and his wife, Phyllis, split their time between Berkeley and Healdsburg for the last decade of his life. "Most artists, when they become successful, feel like they have to stick to what they're doing, but he wasn't ever safe," says Eilertsen. "He pushed himself to try new things. " The most intriguing pieces in "The Intimate Diebenkorn" come in the form of a number of seemingly simple figure and portrait sketches, most of which capture Diebenkorn's favorite muse, his wife, in casual or relaxed poses. These fluid and freewheeling works offer a peek into Diebenkorn's everyday experience. "I think it's a sweet and personal show," says Eilertsen. "You don't get to go into the mind of the artist very often." In addition to the exhibit, the museum is hosting several educational events. On Saturday, July 11, Diebenkorn's daughter, Gretchen Diebenkorn Grant, will offer a talk titled "A Daughter's Perspective," in which she relates stories about her father's life and work. On July 14 and 16, the two-part Spotlight Seminar with educator Ann Wiklund looks at Diebenkorn's lasting influence on West Coast art. Also, on July 18, artist Jan Wurm presents a talk focusing on Diebenkorn's work while he lived in Berkeley. The show includes archival video presentations showing Diebenkorn in his home and studio. The museum also invites the public to get interactive with a working studio space where visitors can draw and sketch their own scenes.